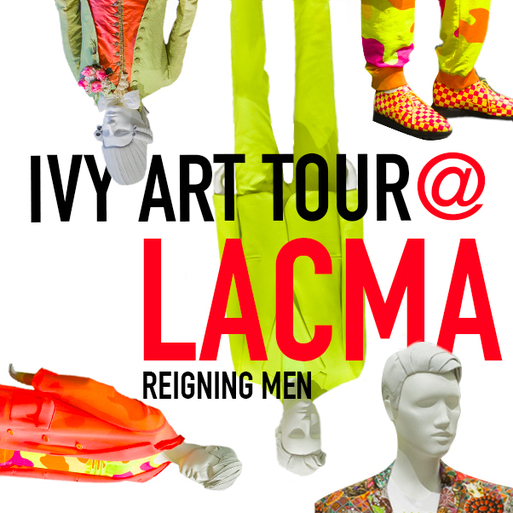 Members joined us at LACMA for a special IVY Art Tour of their exciting new exhibition—Reigning Men! Historically, menswear has often equated “fashionable” with “feminine”. This exhibit re-examines that stereotype by tracing menswear back to 1715. It features styles from the 18th century male aristocrat in lavish three-piece suits and 19th century elegant dandies, all the way to the 21st century ultra-chic “skinny suit” and floral prints. Drawing primarily from LACMA’s renowned collection, Reigning Men makes illuminating connections between history and high fashion with 200 unique looks.